Roomy, strong, and water-resistant, our MyPlate Grocery Bag makes grocery shopping and choosing healthy foods easier. 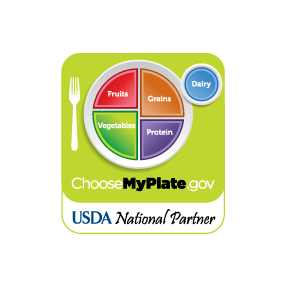 Colorful MyPlate design is a great reminder to choose healthy foods at the market. Shiny water resistant finish makes the bag reusable and easy to clean. Double reinforced handles and a plastic bottom board make it easy to carry heavy groceries. Size: 12" X 15" X 9.5"